This Halloween, Wildfire presents a treat so delicious, you won’t even have to go trick or treating. 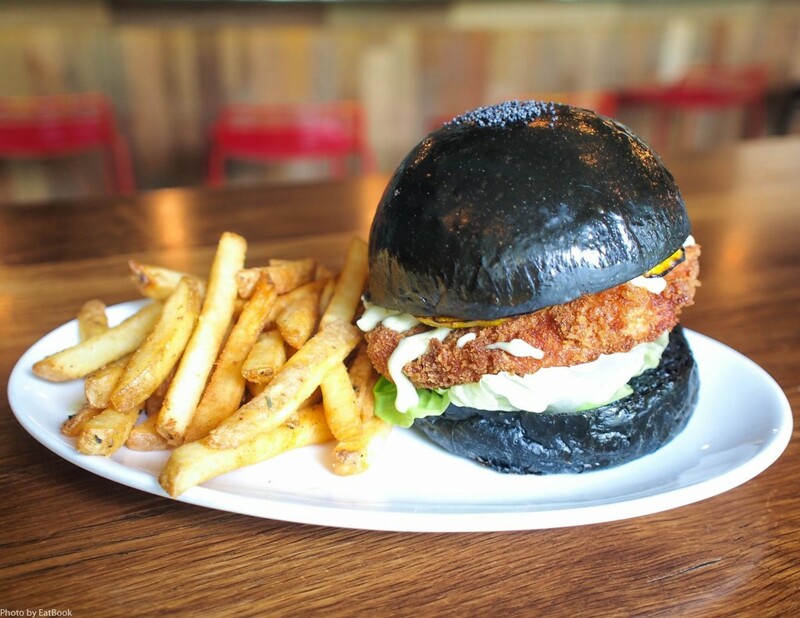 Their one of a kind squid ink ebi burger ($23) is a brilliant creation that makes Wildfire stand out from the other burger joints in town. 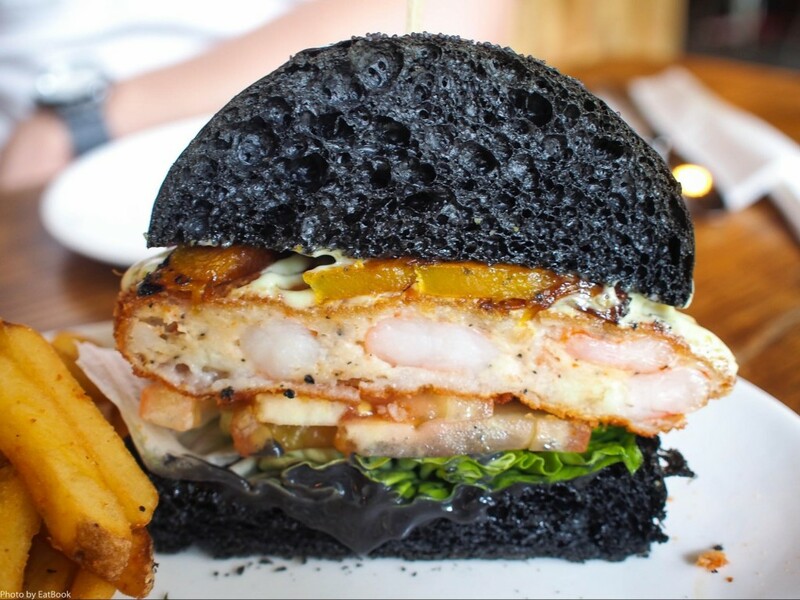 Here you go: one glorious ebi patty made from juicy whole shrimps, sandwiched between slices of fresh tomatoes, grilled pumpkin, crunchy romaine, and a rich squid ink brioche bun. The patty is slathered in a good amount of yuzu koshu mayonnaise and squid ink aioli, achieving a good equilibrium between rich and refreshing. This burger is so good, we are demanding for it to have a permanent spot on their menu! And what’s a trip down to Wildfire without some of their signature buttermilk fried chicken? Their fried chicken ($13) now comes in four new sensational Asian flavours: Sichuan Pepper, Yuzu Kosho, Sticky Nam Prik Pao, and Sriracha Glaze. Our favourites was the Sichuan Pepper, thanks to the numbing but addictive peppercorn seasoning. 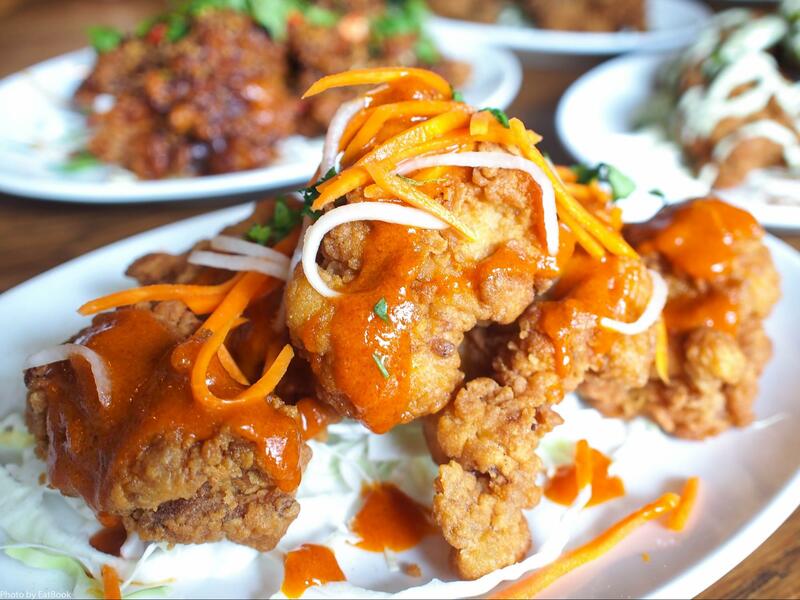 The Sriracha Glazed Chicken was another strong contender with the spicy sauce complementing to fluffy buttermilk batter perfectly. Who needs haunted houses when you’ll be shocked by how great the food at Wildfire is?